Designed for the “can’t get enough garlic” crowd at the Perth Garlic Festival, this salsa packs a great garlic punch. While many salsas have garlic in their recipes, in this one, garlic takes the front seat right beside the tomatoes. 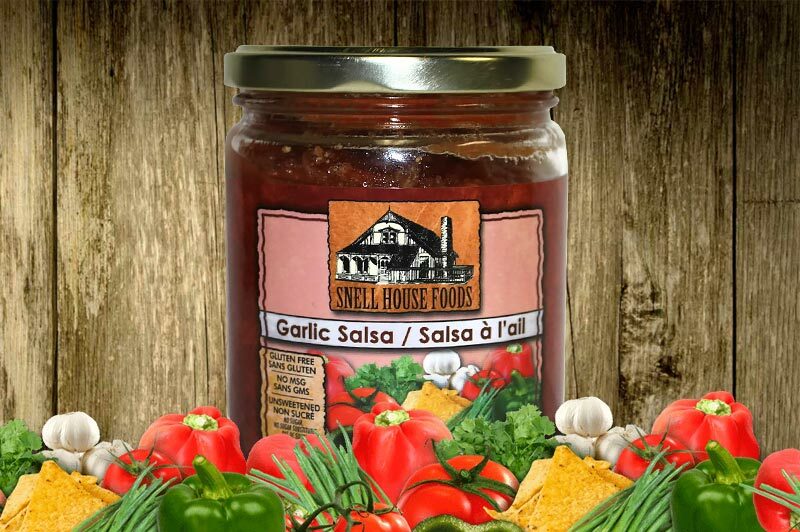 In traditional Snell House style it’s packed full with chunks of tomatoes, fresh hand-chopped green onions, green peppers and garlic, spices and just the right amount of heat. Caution: this salsa is spicy and may not be for the faint of pallet. Tomatoes (tomatoes, tomato juice, calcium chloride), green peppers, hot sauce (aged red peppers, distilled vinegar, salt), green onions, tomato paste (tomatoes), distilled white vinegar, fresh garlic, spices, granulated garlic.